Who is it for? Himalaya Toning Massage Oil is a toning oil for young mothers and pregnant women. The toning massage oil comes in a large white bottle with a green lid and dispenser with blue/ purple lettering on the front this doesn’t look terribly sophisticated but has a decent appearance. The oil is available in smaller sizes too but hubby picked out the jumbo version for me. The color of the oil is transparent and smells distinctly of lavender. The dispenser works fine and delivers an exact amount of oil in my hand. The packaging is sturdy…there have been no spills but then I haven’t really traveled with this bottle anywhere. The oil takes about 10 minutes to be absorbed in the skin after a mild massage and leaves behind a nice glossy sheen. I also smell nice and lavender fresh afterward. However, I have used organic mustard and til oil in my last trimester and know the therapeutic effect of natural oils…this doesn’t deliver any lasting benefit to the skin. My skin is back to its original state a few hours after the massage. As far as pain relief is considered it’s not that effective…I would rather prefer a mustard oil massage for pain relief…just that its strong pungent odor sometimes doesn’t agree with new-borns. A new baby takes away most of mommy’s energy so that means she has less time to research on optimum solutions for skin care. From that perspective Himalaya toning massage oil is good …it smells nice, has a non-greasy texture and is pleasant apart from being affordable. But for really sustainable and noticeable results…natural oils…the non-packaged variety scores better. The USP of this oil is its lovely fragrance…I use this mostly before bedtime so that I can actually relax for some time…undisturbed sleep is not on the agenda right now!! My skin feels smoother and glossier than before but then I use moisturizers too and I am pretty sure this oil doesn’t deliver lasting moisture. It doesn’t do anything remarkable for pain relief too. The oil claims to contain sesame oil but I have used sesame oil before and cannot find either its consistency, benefits or its color in this product (sesame oil is golden yellow). It does contain lavender and again I am not too sure about winter cherry. Overall this is an average massage oil best used as a relaxant than as a pain relief product. Yes, I would recommend this to women who have sleeping disorders, suffer from restlessness or are stressed out…the lavender does help in calming the mind. But post pregnancy …new moms need something more effective in toning and moisturizing the skin and I can think of better solutions for pain relief than this particular oil. A 2.5 / 5 for this one. 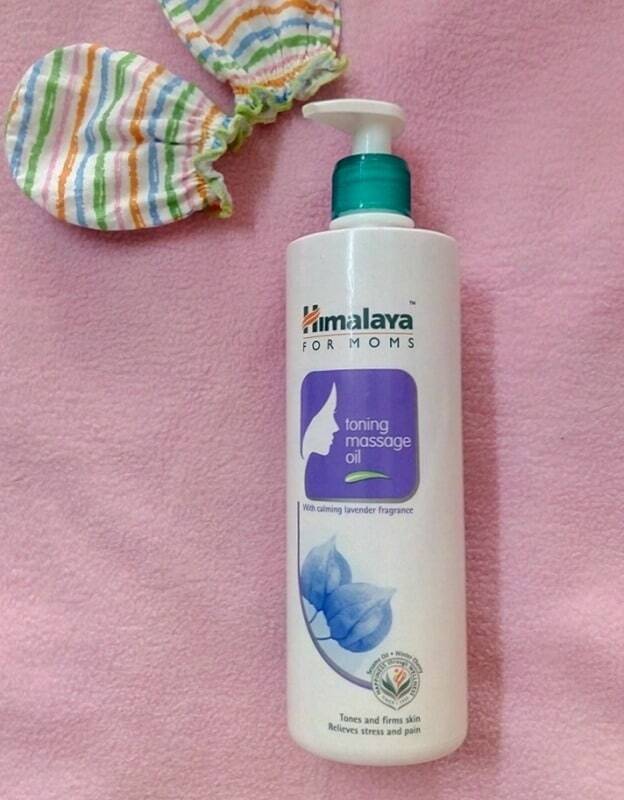 More Himalaya Mom and Baby Products ? Balayage Ombre Hair : Is it Right for You ? I didn’t know about this product. This review was an eye opener. Great one Gargi.. I have already gone through this phase but not aware of this awesome product. Good review.